Hello and welcome back to DRU's Inspirational Blog! These die-cuts will then be adhered and layered together for dimension and depth. Your card will quickly start to form. 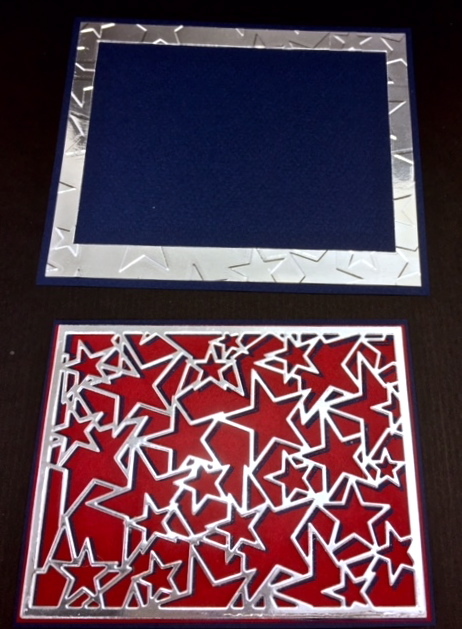 Now place the adhered die-cuts over star panel to end-up with a patriotic collage type of a look like I have above! Layering is so fun, dont you think? 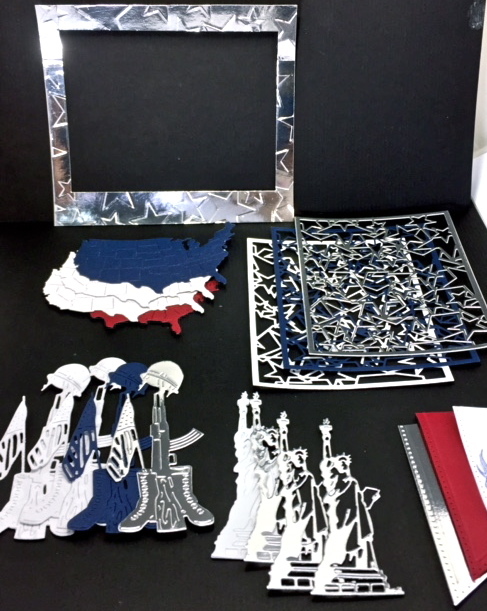 On the Soldier's Tribute, the cardstock colors were slightly offset for interest. The Statue of Liberty was die-cut in white and again from dbl sided adhesive sheet. 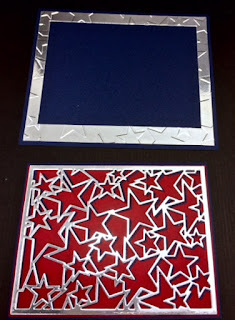 This adhesive layer allows for addition of bling (CE Cosmic shimmer Iced Snow glitter was used here). It's very sparkly though not quite noticeable in this photo. 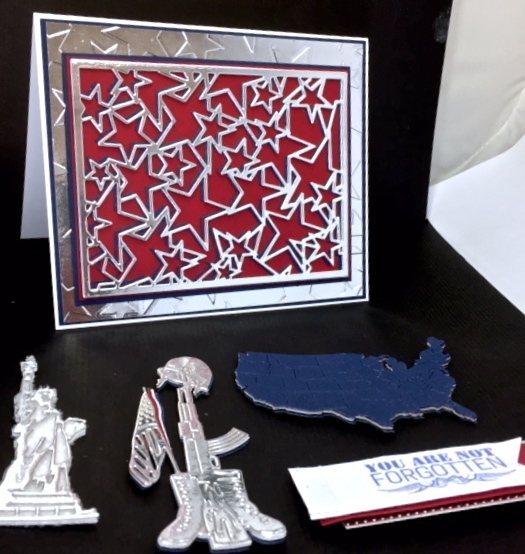 The sentiment is from stash, and placed on Pierced Flags that are layered with foam tape. 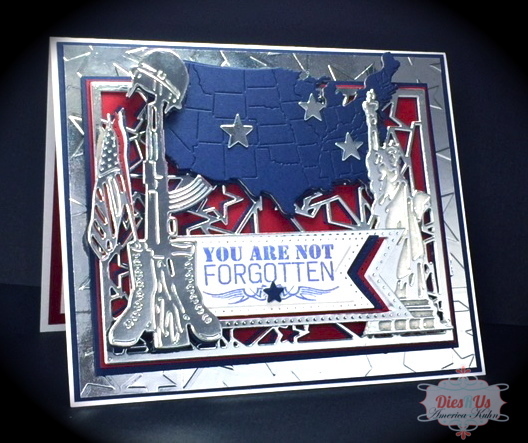 Card collage created with the following precision dies by Frantic Stamper; Soldier's Tribute, Statue of Liberty, USA Map and Star Card Panel. Also Sue Wilson's Frames and Tags Pierced Flags. Great tribute card, love all the details.